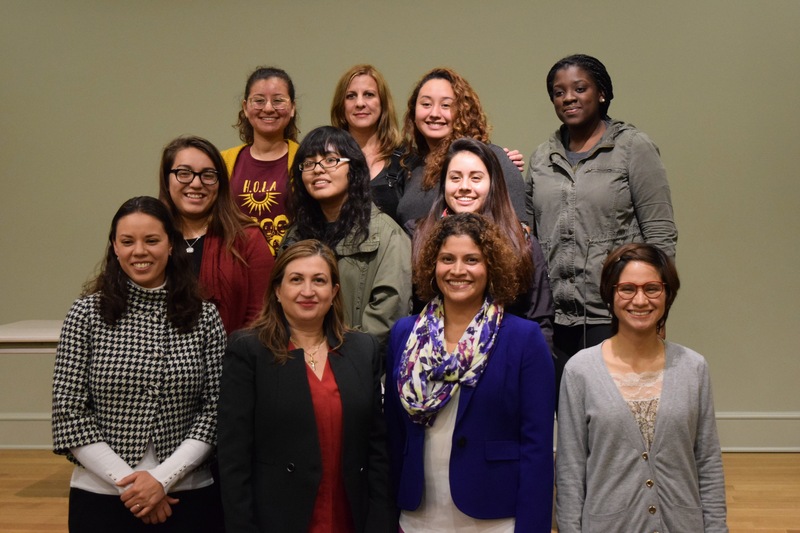 HOLA, Salem College’s Hispanic student organization, held its first panel on Nov. 9. “What Does It Mean to be Latinx?” featured three prominent Latina women who spoke about their experiences. Dr. Ana León-Távora, chair of the Department of Modern Languages and Assistant Professor of Spanish at Salem, moderated the panel by asking anonymous, student provided questions. Patricia Perez Galeana, Deputy Consul General at the consulate of Mexico in Charlotte, shared similar themes in her experience. Her friends and family back home in Mexico frequently ask her why she chose to move out of her country. To them, she proudly says that she is passionate about protecting and helping other Mexican nationals find their way in the United States. “You are the dreamers, but before you were your parents. I know that you face challenges every single day, but for your parents it’s so difficult. There are so many violations of their rights,” Galeana said. “I have to be here working for my people.” She challenged students to be unapologetically proud of their heritage, their families and their culture.